MPM + CMP = MRM 2.0. But, as both a marketing leader and former research nerd, I am quite excited about today’s news. We just announced a new partnership with Content Marketing Platform category leader, Percolate (see Gartner’s recent research naming Percolate a leader in the space). You can find the details in the press release, but I wanted the chance to expand on why we’re so excited about this partnership for not only the industry but, more importantly, for our marketing operations community who gets to reap the benefits. 1. A match made in heaven for Marketing Operations. 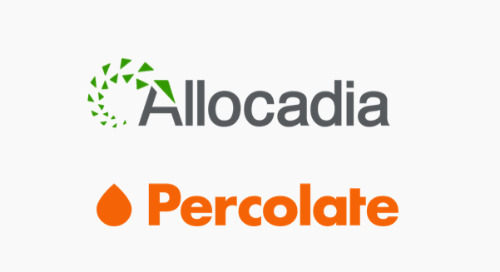 Both Percolate and Allocadia serve a growing community of Marketing Operations professionals - arguably the most important marketing function to emerge from the martech movement. Content Management (managing upstream marketing processes) and Performance Management (plans, spend, and measurement) are integral to a CMO’s marketing organization. But these areas often fall on the shoulders of the Marketing Ops team to manage and control. Talk about complementary: Allocadia is the marketer’s best option for managing strategic plans, optimizing investment and measuring results (including ROI), while Percolate makes the complex planning and production of campaigns and content remarkably simple. Marketing Ops: get excited, because these two solutions are built with you in mind. 2. MRM 2.0 is here. Much more to come from Allocadia on the MRM 2.0 opportunity. 3. Built by - and for - real, live marketers. Today, marketers at leading companies such as Land O’ Lakes are using both Allocadia and Percolate’s technologies in tandem to drive greater business impact. If you’re attending Percolate’s conference, Transition, in San Francisco this week, be sure to watch for key insights from our CEO Kristine Steuart and Percolate’s Co-founder, James Gross where they will call out some of these customer examples. 4. It’s all about connecting the dots through data. Our partnership with Percolate allows marketers to link budgets to content orchestration, with both technologies enable marketing teams to use a consistent data taxonomy. This is critical. Marketing needs a common language to manage the explosion of tools, tactics, technologies, and channels used to “do marketing.” Behind the scenes, marketers optimize how they “run marketing” by connecting the dots between plans, spend, and execution. It’s all about using data taxonomies for a simple way to manage a chaotic process. Whether it’s categorizing marketing activities and spend or organizing and cataloging content, Allocadia and Percolate have marketers covered. 5. Content is a major marketing investment. The vast majority of companies - 91% of B2B and 86% of B2C - will use content marketing to drive growth in 2018. While the average B2B firm allocates 26% of their budget to content, some spend as much as 40%! This is a significant investment that requires the right tools and insights to properly manage and measure . By merging performance and content management, marketers are in the driver’s seat when it comes to allocating these dollars wisely and optimizing their impact. 6. 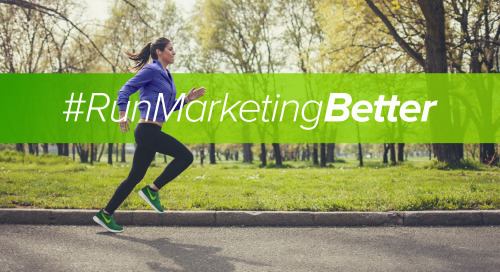 Two new “P’s” of marketing: performance & process. Marketing used to be taught as a combination of “product, price, place, and promotion.” Today, in an era of marketing accountability, our two firms share the belief that two additional “P’s” are required: performance and process. To drive performance (whether revenue goals or other business impact), a marketing organization needs control, visibility, and confidence in core processes - operational areas such as planning, content management, investment management, and measurement. Without command over these, marketing teams will be inefficient, ineffective and ultimately unable to prove their impact. The Allocadia-Percolate combo is one that we believe will greatly benefit marketing organizations. And stay tuned for more on MRM 2.0. It’s going to be a game-changer.